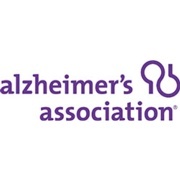 Alzheimer’s Association of Greater Cincinnati provides help and hope to the estimated 50,000 families in the Tristate affected by Alzheimer’s disease. All programs and services are free to families in need. The gift from The Cincinnati Wine Festival allows 40 affected individuals to each participate for 10 weeks in the Memories in the Making® art program. Below is the story from a caregiver who has benefited from this program. I came to the Alzheimer’s Association office about a year into Russell’s initial diagnosis. Unfortunately, I was still in denial and felt my visit and some of the suggestions offered were premature. Shortly thereafter, we found out he had another serious disease. That consumed a lot of time and attention and Alzheimer’s took a backseat. I continued to resist reaching out for help because I thought I could “do it on my own.” A call from Nancy Boss at the Alzheimer’s Association literally changed my life. She addressed my concerns and her positive urging got me to come to the Memories in the Making program for Russell and the concurrent caregiver support group meetings. That is hands down the single best decision I’ve made since saying “yes” when Russell asked me to marry him. The Caregiver Support Group and Memories in the Making program have been a Godsend. Russell participates in something he enjoys while I attend the support group. Doing this simultaneously eliminated the problem of arranging for paid care while I was away and gave Russell a much needed activity. I’ve come to realize that Memories in the Making isn’t making memories for the Alzheimer’s patient but making something tangible for me to have. I have all of the artwork he has done in his sessions, dated and stored carefully in a drawer. They testify to both his creativity and his continually changing abilities. For me, meeting with others whose situation is similar to ours is amazing. While each of us is at a different stage, I am with people who understand the positive and not-so-positive experiences. We share information, tips on what has and hasn’t worked, make each other brave enough to take a difficult step, empathize and (surprise) laugh a lot. Meeting weekly is like a shot of adrenalin and keeps us connected. Their generous sharing of ideas and experiences has helped me make difficult decisions such as an Adult Day program a couple of times a week which is now part of our routine. I thank everyone who listens to my fears and helps me through them. If I have any regrets, it was my failure to understand, at the time, what my friends, coworkers and others who have dealt with Alzheimer’s have really been doing over the years. I’m embarrassed at my lack of empathy for these life changing situations but my admiration for the courage and tenacity of these people has grown by leaps and bounds. I thank each of them for their kindness in being there for me on my journey and hope to pay it forward to others. What the Alzheimer’s Association has given to us is immeasurable.